Everyone has a "schmuck" in their office---a difficult, disruptive person who upsets the workplace, confuses coworkers, and causes concern. 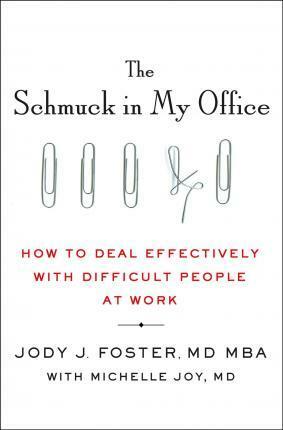 It's hard to understand why schmucks act the way they do, but one thing is certain---they seem to come in all shapes and sizes. . . .
"Dr. Foster offers business people a simple, intuitive, and occasionally hilarious typology for spotting types of difficult people at work. Which type of disruptive person is this? How did they get that way? How to handle them? This book is a refreshing contribution to the field. "- Geoff Smart, Chairman & Founder of ghSMART and New York Times bestselling author of Who and Power Score. MICHELLE JOY is currently a forensic psychiatry fellow at the University of Pennsylvania interested in the intersections between clinical medicine and the humanities.